Joan M. Hess (Mullen) 69, of Raynham, passed away peacefully on Monday, August 20, 2018 at her home, surrounded by her loving family. She was the loving wife of William C. Hess, Sr.
Born in Dorchester, MA, she was the daughter of the late William and Marie (Burke) Mullen. She worked as a receptionist for Twinbrook Insurance Company for twenty years. 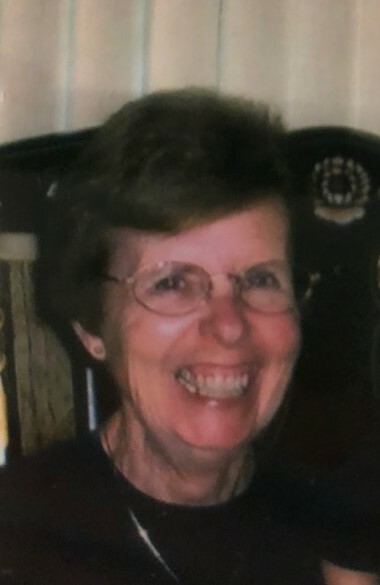 Joan enjoyed going to the beach, traveling, especially cruises, and was an avid New England sports fan, especially the New England Patriots and Tom Brady. Her light shined brightest in the presence of her Grandchildren. Besides her husband of 48 years, she leaves her son, William C. Hess, Jr., and his wife, Carmen Valentin-Hess, of Mansfield, MA; two brothers, Robert and John Mullen; a sister, Susan Harding, and her husband, John; and the beloved Grammy of William C. Hess, III and Victoria E. Hess. She also leaves her stepmother, Dorothy Mullen and was the sister of the late William Mullen, Jr. Visiting hours will be held on Thursday, August 23, 2018 from 4:00 to 7:00 pm, with a funeral service beginning at 7:00 pm in the Silva Funeral Home, 80 Broadway (at Saint Mary’s Square) Taunton. Joan’s funeral will be held on Friday, August 24, 2018 at 8:30 am, from the Silva Funeral Home, 80 Broadway (at Saint Mary’s Square) Taunton, followed by interment in Saint Mary’s Cemetery in Mansfield, MA.